Sexual or Violent Offenders In Your 'Hood? Probably. It's like changing the battery in your smoke detector - check the registry! They're in my neighborhood and they're probably in yours. Bozeman, Montana is a pretty safe town but being informed is the best way to STAY safe. Check the Montana Registry right here! 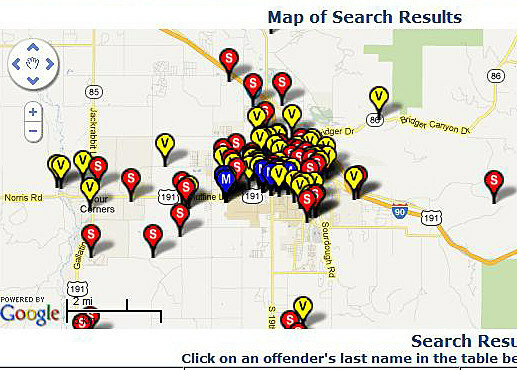 No matter what county, you'll be able to see a Google map of registered violent or sexual offenders. Sometimes they're both. It only takes a second to instantly inform yourself of your surroundings!